Oh Boy Love It! has been a sponsor of my blog for a few months, and I’m so happy to host a spotlight post and giveaway for them and maybe give you some fun ideas for a few holiday gifts! Find something to fall in LOVE with on OhBoyLoveIt.com! 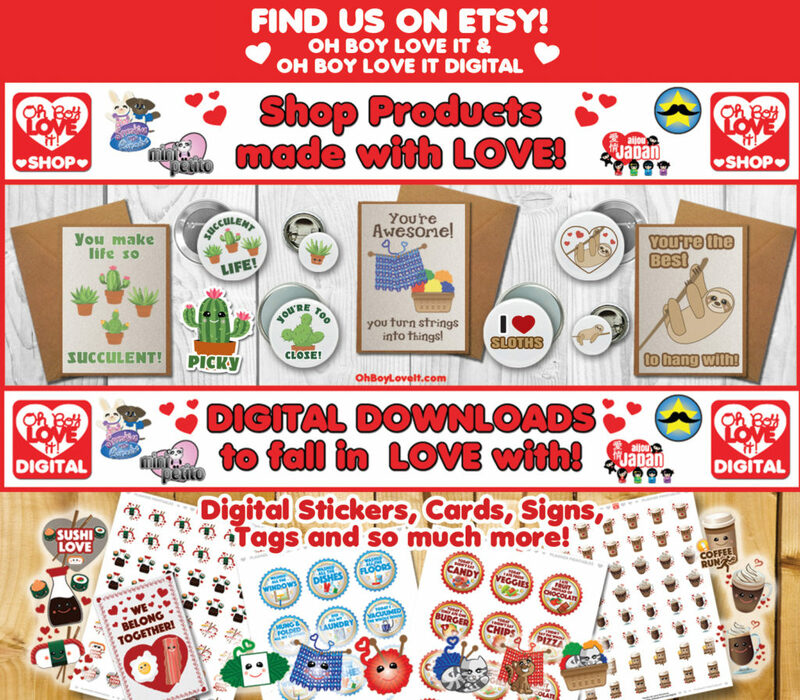 Visit them online (website, Facebook, Twitter, Instagram, Tumblr) and find videos, games, handmade & digital items all made with LOVE and made for you to LOVE! Oh Boy Love It has two shops on Etsy: one with handmade Love (www.OhBoyLoveIt.etsy.com) full of stickers, cards, pins, and more, and the other with Instant Digital Downloads (www.OhBoyLoveItDigital.etsy.com) for all occasions. Please note that for shipping in the USA, the last day for regular post for orders to arrive in time for Christmas will be will be December 12, 2016, so get those orders in early! 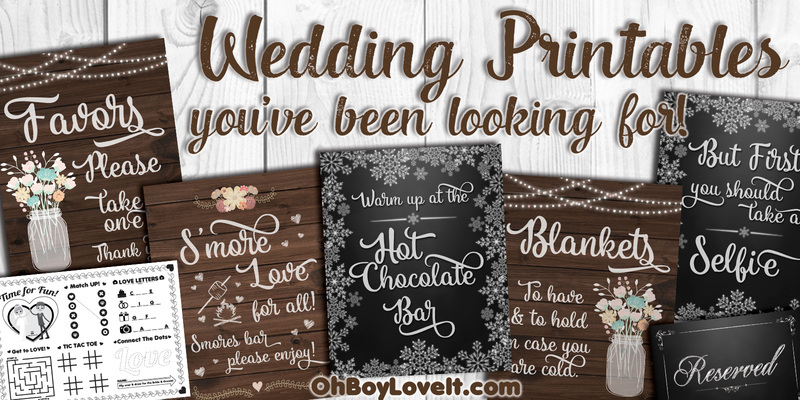 If you’ve already found Love and are going to tie the knot, check out their digital store for great Wedding Printables! Oh Boy Love It also Loves to give back. A portion of their profits go back to charity. Their favorites are water.org and KIVA! If Kawaii is your thing, come discover the Sprinkles ’n Ganache, Mini Petito, Shellbelles, Uniconrness & the Kokeshi Lovers! From Mermaids, sushi, unicorns and so much more Oh Boy Love It’s got you covered! Find them on Youtube and subscribe to keep up with their latest videos. 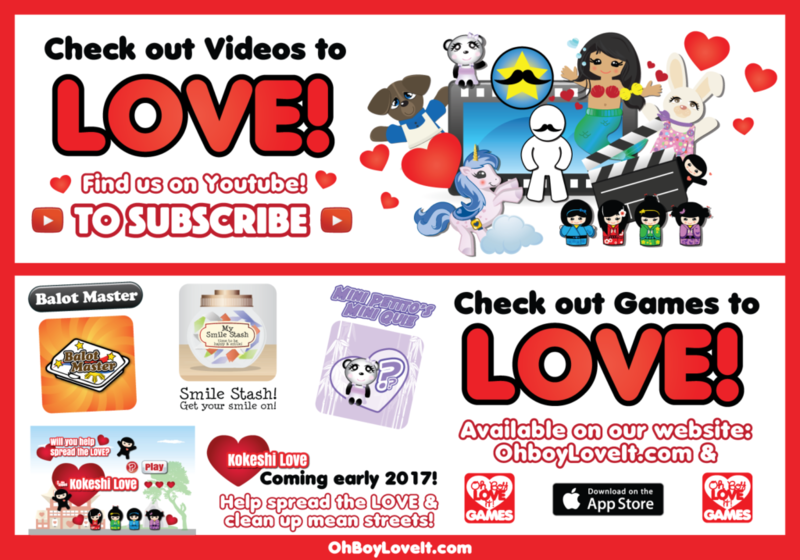 Also find great FREE games you can play online or download from the APP store (http://ohboyloveit.com/games/) to make you smile! The Kokeshi Love game is set for release early 2017! To enter to win, just use the Rafflecopter widget below. This entry was posted in Blog, Giveaways and tagged sponsored. Bookmark the permalink. 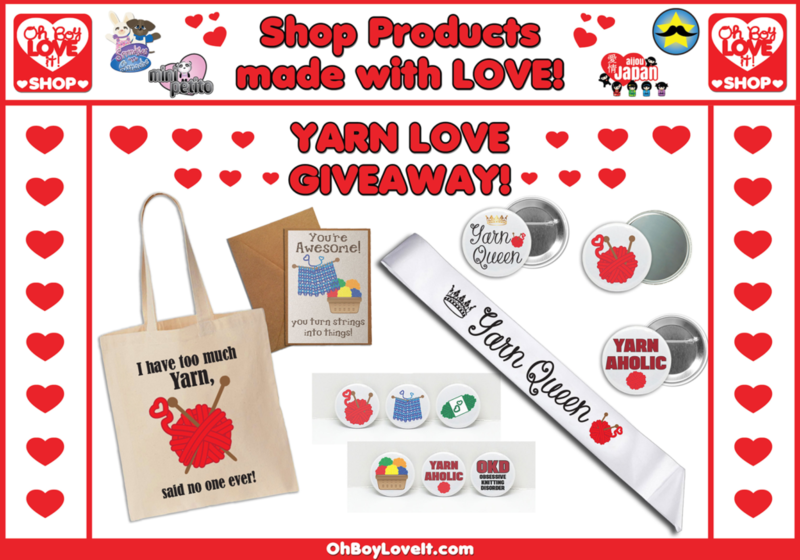 62 Responses to Cute yarn-lover’s giveaway from Oh Boy Love It! I love the “I heart Halloween” decal sticker! I like the yarn and sloth n pins. 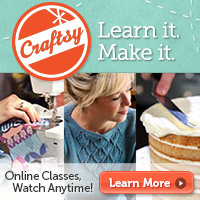 I loooove the crocheting and yarn pins! 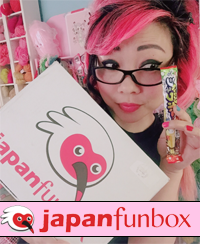 <3 Great giveaway! I’m in love with the Yarn Queen sash! Just what every crocheting beauty queen needs! I need a cute tote bag for my knitting and crochet projects. The cat cards are cute.